You can say that I’m the master of disaggregating data. I’m that teacher who can’t wait for the results of any test because it gives me starting point. I love data. When there’s not any data or enough data I feel lost. Sadly I realize that this is not the case for many teachers. Most teachers that I have worked with have a basic understanding of using data to drive instruction. 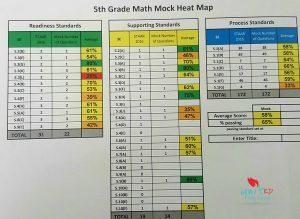 This means that they know that the students are not making progress but they don’t know how to use the data to get the students to meet grade level standards. In addition to teachers not being able to effectively use data to driven instruction, many administrators will not admit that they are leading a school and do not know how to use data to drive instruction. 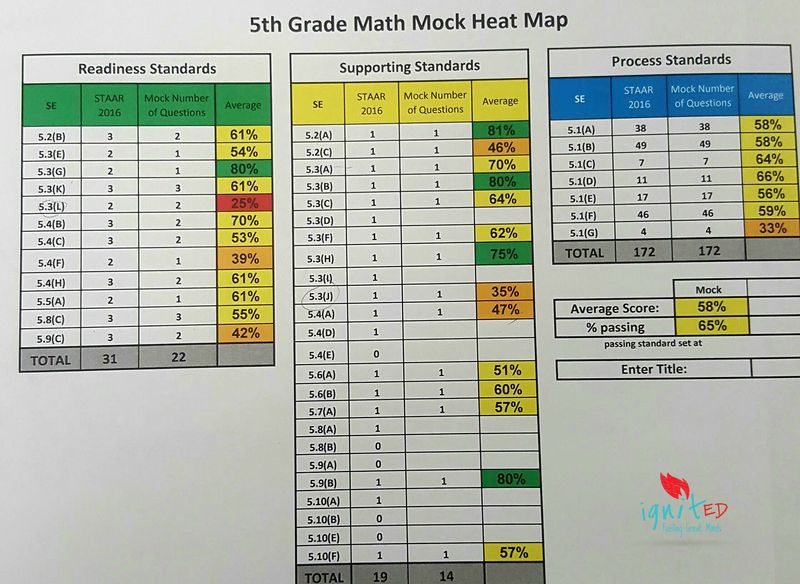 When teachers and administrators in inner city schools do not know how to use data to guide instruction, it keeps students who need Tier 2 instruction from getting the support that they need to meet grade level standards. Urban teachers are often data rich. This means that they have an abundance of data such as benchmark test, grades, standardized test, weekly test and etc. More often than not the teachers don’t know which data points to use or how to interpret the data to guide their instruction. Having access to data and doing nothing with it is known as the DRIP Syndrome or Data Rich, Information Poor. The DRIP Syndrome seems to plague many urban schools. For example, when I began teaching at my previous school I noticed that school wide Response to Intervention (RTI) didn’t exist even though our school district collects enormous amounts of data on our students. The teachers had access to the students’ data but nothing was ever done with the data. Last year it was mandatory for us to attend these Professional Learning Community or PLC meetings. After sitting through a couple of the meetings I asked my principal what was the school’s goal? At first he really didn’t know what I was talking about but after explaining what I talking about he said, “The goal for the school is 70 percent.” I took his answer at face value but in my mind I was thinking why aren’t we aware of the the school goal? Every grade level met for PLC meetings twice a month so I discussed the idea of making one of our meetings a data PLC. They thought is was a good idea and agreed. Well, you know how long that lasted? It only lasted 2 months. Our leadership team would come in and take over our PLC agenda and discuss testing logistics, and other fluff that had absolutely nothing to do with student achievement. teaching lessons using explicit instruction. I’m a firm believer that desperate times call for desperate measures. I was desperate! 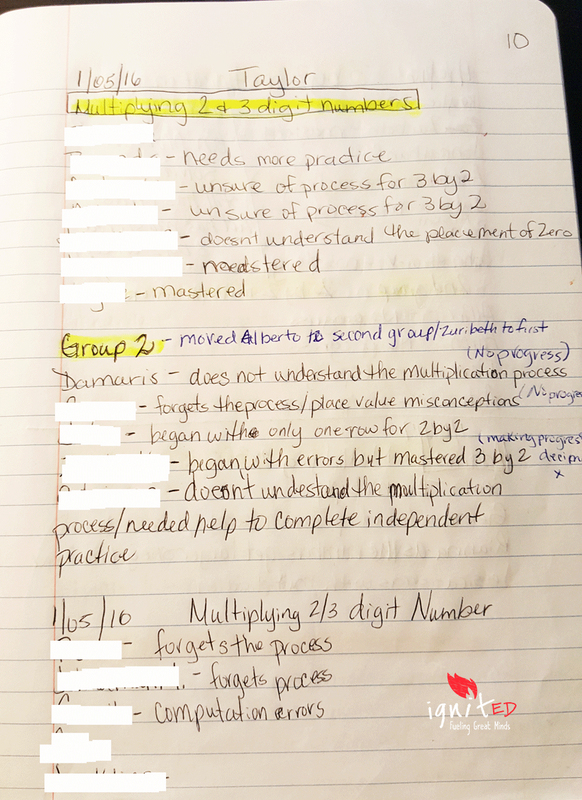 I knew that I had to do more than just track my students’ numbers so I began to keep anecdotal notes on my Tier 2 students. I needed to keep track of the misconceptions that and mistakes that my students were making so that every time we met I could bring this mistake or misconception to their attention to correct their thinking. As you can see there was not any structure to taking these notes. 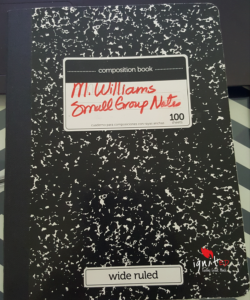 One day I grabbed a composition notebook and began to write. provide ongoing documentation of learning that may be shared with students, parents and teachers. At the end of the year I sat down one day and looked through my notebook. I smiled because I could see the the progress that my students from October to May. Documenting qualitative data also improved my students’ data. At the end of the year 12 of my 16 Tier 2 students showed enough growth to pass their standardized math test. It was such an awesome feeling because some of these students had not been successful on the 3rd or 4th grade math tests. 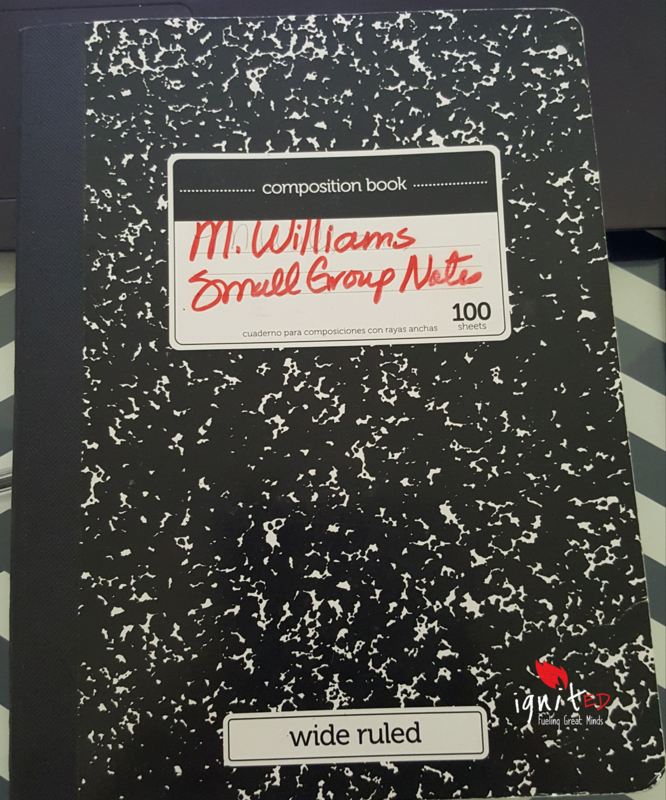 Since anecdotal notes worked so well I decided to create Tier 2 forms that I would need for next school year so I won’t have to use that composition notebook. Fabulous! The use of anecdotal notes is so underused in the school system now. If teachers only understood how quick and easy it could be and it then provides such perfect data to relay to the students. I couldn’t agree more! Anecdotal notes help me to keep track of student progress as it relates to effort and other factors that can’t be captured by raw data.